Neurological disease is a structural disturbance or a malfunction of the central nervous system . Common neurological disorders include stroke, Alzheimer Disease, migraine headaches, epilepsy, Parkinson's disease, sleep disorders, multiple sclerosis, pain, brain and spinal cord injuries, brain tumors, and peripheral nerve disorders. According to the National Institute of Neurological Disease and Stroke (NINDS), neurological disease is "a burden borne by every age group, by every segment of society, by people all over the world" ( www.http://ninds.nih.gov ). The most common causes of neurological disorders include genetic, developmental, or congenital abnormalities; various peripheral diseases such as diabetes, high blood pressure, or a variety of infectious diseases; problems of the immune system (such as multiple sclerosis); brain or spinal cord injury; and environmental toxins. Neurodegenerative diseases affect brain cells, usually later in life, often for unknown reasons. Alzheimer Disease and Parkinson's disease are examples. Huntington's disease is a neurodegenerative disease known to be caused by inheritance of a mutant gene. Mental disorders have traditionally been distinguished from neurological diseases by their lack of evidence for an apparent mechanism as well as their principal symptom, maladaptive behavior. However, this distinction is misleading because it suggests that mental disorders lack an underlying physical cause, which is increasingly being contradicted by research. Furthermore, many neurological diseases produce maladaptive behaviors, making this division less meaningful. Taken together, neurological diseases are among the most destructive and costly public health problems for any society. Cerebrovascular accidents, more commonly called strokes, account for approximately half of all neurological problems in adults. Traumatic brain and spinal injuries constitute one of the leading causes of disability and death in the United States, particularly for young males. Epilepsy, chronic pain, and migraine headaches are widely diagnosed, and there is an increased incidence of Alzheimer Disease and Parkinson's disease due to the aging of society and greater exposure to environmental toxins. A computerized axial tomography (CAT) scan of a human brain with Parkinson's disease, showing atrophy. Neurodegenerative diseases such as Parkinson's affect brain cells, usually later in life. The diagnosis and treatment of neurological diseases is the medical specialty of neurology. Neurosurgery is a medical specialty related to neurology. A variety of tools is available for the diagnosis and treatment of neurological diseases. Typically, the practitioner performs an initial evaluation, and tests for a variety of conditions that could be indicative of the underlying pathology. Neurological symptoms can be quite variable. Common symptoms include chronic pain, impaired reflexes, tremors, motor coordination problems, localized muscle weakness, paralysis, numbness, tingling, loss of vision, agnosia , and aphasia , as well as confusion, mental retardation, dementia , delirium, lethargy , seizure, tremor, stupor, and coma. The neurologist uses both the symptoms and the patient's history to begin to determine a diagnosis. Neurological examinations include tests for mental status, cranial nerve performance, and motor systems functioning; assessment of muscle strength and coordination; and examination of reflexes and sensory systems as well as autonomic nervous system responses. 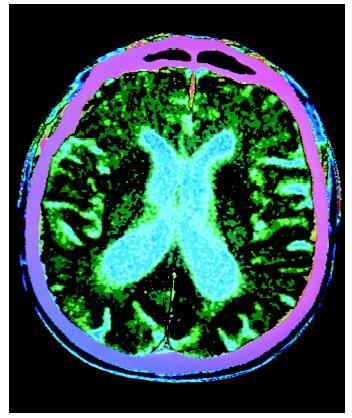 Other noninvasive diagnostic tools include the electroencephalograph (EEG), which records electrical brain activity; computerized axial tomography (CAT) or computerized tomography (CT) scan, which is often used to locate lesions and tumors; magnetic resonance imaging (MRI) scans, which provide a more detailed map of brain functioning; and, finally, cerebral angiography, which allows for the visualization of blood flow to and from the brain. Spinal taps (lumbar punctures) permit the withdrawal of cerebrospinal fluid for chemical and microbiological analysis. Despite the advances in diagnostic procedures, dramatically improved treatments with psychotropic drugs, neurosurgery, and various rehabilitative measures, many of the neurological diseases cannot be effectively treated or reversed. Beers, Mark H., et al., eds. Merck Manual Diagnostics & Therapeutics, 17th ed., Rahway, NJ: Merck & Co, 2000. Victor, Maurice, and Allan H. Ropper. Adams and Victor's Principles of Neurology, 7th ed., Elmsford, NY: McGraw-Hill, 2000.